Nanowires are quasi one-dimensional rod-like nanostructures with diameters in the order of nanometres (10^-9m) and have seemingly unlimited length and a great degree of versatility. Nanowires form as monocrystals in a well defined crystal geometric direction. 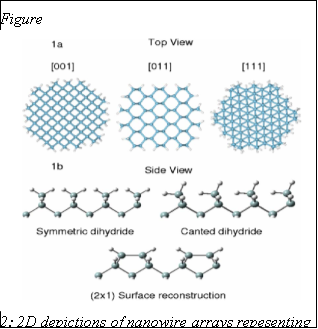 Nanowire geometry allows for easy contacting of the wires from two sides. Attention is devoted to geometry of nanowires because this is the feature that allows for easy control of electronic properties of nanowires. Growth orientation (e.g. 100), the faceting arrangement (e.g. ) 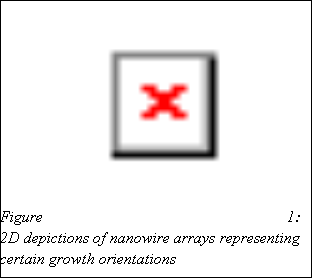 and the surface structure (Si(100)) are generally outlined in nanowire investigations and are a generally accepted notation to depict nanowires. A nanowire is thin and diameter is in order of magnitude far smaller than length of nanowire. As diameters gets larger, quantum effects become less significant against bulk material properties. Nanowires have thermoelectric properties, specifically that they have high thermal stability and low thermal conductivity. Quasi one dimensional Carbon Nanotubes (CNTs) and nanowires are likely composite materials for future electronic devices. Nanowires electrical properties are easier to control than CNTS, therefore are an attractive alternative to CNTs and naturally passivated when semiconducting. Under scrutiny, experimentally grown nanowires always have passivated facets but further study of unpassivated (pristine) nanowires has demonstrate fundamental mechanisms at an atomic-scale. One of which being that passivation is necessary to obtain nanowires with those controllable electrical properties. 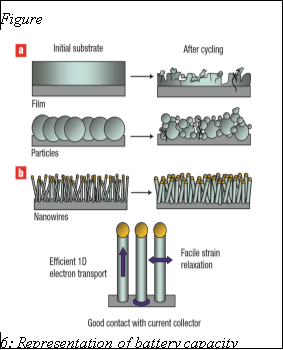 Semiconducting nanowires are often fabricated via growth mechanisms or synthesised by electrochemical etching. These processes are often done in an aqueous solution with HF acid. The most common method of nanowire growth is Vapour-Liquid-Solid (VLS) mechanism. VLS is a bottom-up process that starts with the dissolution of gaseous semiconducting materials with colloids of a metal catalyst, generally gold or silver . The one-dimensional growth is evoked and dictated by the colloids. Once the colloids are supersaturated with semiconducting material, crystalline nanowire growth will start to occur at a boundary between solid substrate and liquidised material. This particular description was the growth of silicon nanowires. One example of EE is the use Ag catalyst on wafer-scale Si to fabricate a nanowire array. Ag+ ions are reduced in the solution after holes are inserted into the valence band of Si substrate. The reduced Ag nanoparticles dictate the extent of the etching and oxidation processes. Vertically aligned nanowires result from this synthesis. After both methods of fabrication, nanowires remained anchored to substrates and are similarly dependent upon length of diameter for thermoelectric properties. However, wires from EE have much rougher surfaces than that of VLS. [Si nanowires yielded from EE have much rougher surfaces than typical Si nanowires grown via VLS and have less thermal conductance. A heterostructures are the junctions between two different crystalline semiconductor materials essentially two different nanowire materials formed together to make one nanowire with unique properties. Heterostructures are commonly grown via VLS. These heterostructures allow nanowires to have multitude of properties. What is a semiconductor and how does it work. By strict definition, a semiconductor has a conductivity between 105 and 10-5Ω-1m-1. This is in contrast with insulators that have conductivity of approximately 10-24Ω-1m-1 and metals that typically have 107 to 108Ω-1m-1. On the face of them, these numerical values are rather meaningless but they do show that a semiconductor is separate from the other two, a true genuine third category of material. How a semiconductor conducts is best described by a conduction and valence band. The conduction band rests above the valence band. The conduction band contains excited electrons and the valence band contains holes. In an insulator the two bands are a vast distance away from each other. In a semiconductor the two bands are much closer together, almost touching. If a bandgap is small enough, thermal vibrations may provide enough energy for some electrons to excite from the valence band to the conduction band. In a metal the two bands overlap, leading to a low resistivity in metals. 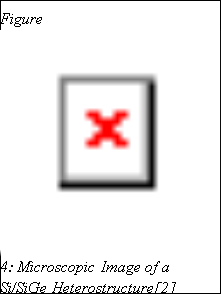 The diagram below depicts what the above description. An intrinsic semiconductor has a completely filled valence band, electron and hole populations are always equal. An extrinsic semiconductor is doped. Midway between the two bands lies the Fermi energy. Below the Fermi energy. At absolute zero, no electrons we be able to excite past the Fermi energy. 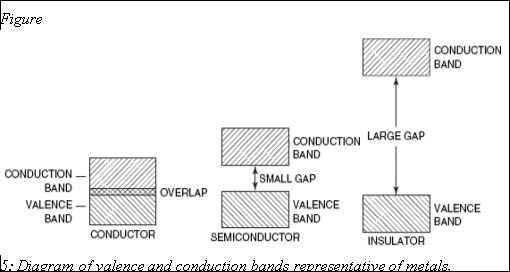 In n-type and p-type semiconductors, the Fermi energy is adjusted to be closer to valence or conduction band. Between the two bandgaps there is a sea of electron density. A transistor is a semiconducting electronic switch and are commonly found embedded in integrated circuits. Down-scaling of the gate length over the years has technological devices reduce in size has caused field-effect devices to having significantly less electrostatic control of a path of conductance; more capable device have been developed such as FINFETs, Trigate transistors and ultimately gate-all-around devices (GAA). Nanowire devices can come in all shapes, not sizes. Examples of nanowire devices are Field-Effect Transistors (FETS), LEDs, Tunnelling diodes, Elementary logic gates, lasers and biochemical sensors. There are a number of different FETs but Metal-Oxide-Semiconductor Field-Effect Transistors (MOSFETs) might be the most interesting or relevant in near-future technologies and are examples of GAAs. MOSFETs are extrinsic semiconductors where the doped material has been oxidised for some insulating properties. If a metallic gate anode were deposited you have the foundation of an electrical switch. [crystalline] Carrier charge density can be changed at the Fermi energy. If the semiconductor were p-type (i.e. abundance of holes in valence band) and a positive voltage is applied to the circuit then the electrostatic energy of the holes increases. Although holes are pushed away from the anode, any attracted electrons do not compensate for the decrease in positive charge. The switching effect is reduced if charge can be stored at the interface between the insulating barrier and the Si since the potential of the silicon will be less than that of the applied gate. When voltage is increased beyond a certain point electron concentration at the surface of the Si will exceed the hole concentration. This creates the on/off switching effect. This gate voltage is large enough so that the bottom of the valence band moves down. The switching effect does not work with a metallic material because the valence band would be too high still and a Fermi energy could still carry current. The semiconductor band gap controls on/off electron currents. Are nanowire MOSFETs superior? Smaller semiconductor gates allows speeds up operation from shorter distances, lower areas of capacitances and Larger fields but it is risky to store charge in a transistor so small and new quantum effects come into play at a nanowire-scale. One of the capabilities of these new technologies is to produce potentials which can confine electrons to the same scale as their Fermi wavelength. 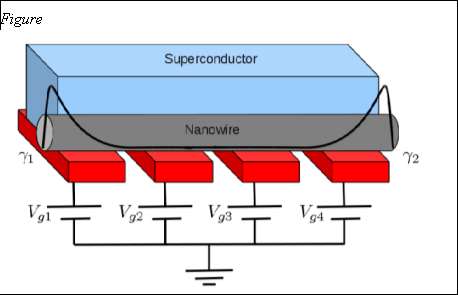 Nanowire MOSFETs can also be used in high frequency circuits. In Electron microscopy high energy electrons are fired at an object and reflected electrons are collected and computed into an image. Electron microscopy generally has greater magnifying power than optical microscopes. There are two main electron microscopes and they are Transmission Electron Microscopy (TEM) and Scanning Electron Microscopy (SEM). SEM uses secondary electron to help generate an image that gives the viewer an impression of 3D while TEM fires at thinner objects at produces a 2D image but while ultimately be more useful for imaging nanowires. Anodes made of Si films have a stable capacity over many cycles but are not viable as a battery because they waste away over time. Nanowire are a superior alternative to bulk materials because of a piezoelectric effect: “Crystals which acquire a charge when compressed, twisted or distorted are said to be piezoelectric. This provides a convenient transducer effect between electrical and mechanical oscillations.” Each Si nanowire is grown and electrically connected to a metallic substrate surface thus all nanowires contribute to the battery capacity. During Fossil fuel combustion 15 TW of heat is lost to the environment. Thermoelectric modules could potentially convert part of the heat waste to electricity. As of 2008, Bi2Te3 in its bulk form was the most commonly used material for thermoelectric devices. However, it is difficult to scale bulk Bi2Te3 to large-scale energy conversion in power plants but fabricating synthetic nanostructures of Bi2Te3 for this purpose is even more difficult and expensive. Thus, Bi2Te3 is replaced with increasingly ubiquitous Si. Ubiquitous Si, abundance with a low-cost and high-yield products thanks to economies of scale. Si also has advantages in thermoelectric applications. Critical spacings below 300nm in Si would reduce thermal conductivity since Si has larger differences in mean free path lengths between phonons (~300nm) and electrons (110nm) at room temperature. InAs-based semiconductor nanowires can already provide a convenient basis for the development of more complex hybrid nanostructures and can contact Schottky barrier-free with metals.The InAs superconducting nanowires are fabricated via catalytic process based on the VLS mechanism. InAs nanowires can be grown epitaxially. Epitaxial growth means the deposited material continues to grow on the same crystalline lattice as its substrate. A superconductor is material with with no resistance and generally operates at a lower temperature. Within semiconductors, there are electron pairs, separated by vast distance in comparison to the lattice spacing, are coupled. These so-called Cooper pairs can exhibit boson characteristics and condense to a ground state since their attraction produces a small pair binding energy similar to the Fermi energy level. A supercurrent generates no waste heat or any other form of waste. The supercurrent can be switched on or off by the electron density acting like a transistor as described earlier. Nanowires acquire superconducting properties because of the proximity effect, a phenomenon that can occur as Cooper pairs of electrons from a superconductor flow into a normal conductor at a junction. Nanowires aren’t inherently superconducting or easy to make superconducting. The proximity effect manifests itself through the appearance of a supercurrent, which can be viewed as a consequence of the diffusion of Cooper pairs throughout the entire length of the nanowire section between the two superconducting electrodes. the proximity affect can only happen if the boundary between Superconductor and semiconductor allows electrons to move freely. Cooper pair tunnelling is an explanation of Cooper pairs where they are able to interact through quantum tunnelling. At a junction between two superconductors and a more resistive material i.e. S-N-S junction. Two Cooper pairs across from each other in two separate semiconductors, can feel an attraction and readily flow into the normal conductor dividing them. S-N-S junctions will also feel a Josephson effect. Cooper pair could be created in the superconductor electrons in the Fermi energy being reflected at the S-N boundary. This could be because of tunnelling effects. But what of Tunable supercurrent? How can a hybrid superconductor-semiconductor device work to observe quantum phenomena? Josephson behaviour occurs at critical currents. The nanowires allows the critical current to be controlled by voltage at a gate, Vg. If this voltage is negative then electron density is reduced and nanowires perform as the weak links between tunable superconductors. With the use of certain geometries, there is the possibility of controlling individual nanowires on the same IC. Majorana fermions are particles that are their own antiparticle. Not much is still known about Majorama pairs, not all the theory has been made to explain them and their properties yet. They are also examples of non-Abelian anyons. In the vicinity of a Zeeman field, semiconducting nanowires require strong spin-orbit to induce majorana pairing in between electron states. This proximity effect induces a topological superconductor. Majoranas can be detected by Tunnelling Spectroscopy. A superpostion of Majorana particles states will always be zero energy because the particle and antiparticle have opposite energy. Said zero energy state can be found in a normal conductor acting as a junction. 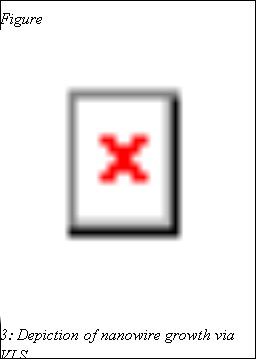 How to summarise this dissertation? The task received was to research and review electrical properties and quantum transport in nanowire devices. This task down into an explanation of base nanowires, specifically semiconducting nanowires. Then, general devices such as transistors, batteries and thermoelectrics were reported on and how certain applications have taken advantage of nanowires in respective devices. Then analyse of quantum effects in Cooper Pairs in superconductors and Majorama fermions. Technology is advancing at an exponential pace. The smaller components can be the more attractive they to companies who manufacture and sell consumer products. The smaller a transistor is the more you can fit on an integrated circuit leading to smaller more powerful products. Majorama fermions and Cooper pair tunnelling probably won’t be used in any consumer applications in the near future but nanowire semiconductors in junctions placed between superconductors show means of electrically measuring quantum tunnelling. In the near future investigations of these particles will enhance fabrication and measuring techniques and eventually manipulate and control Majorana qubits. They are examples of non-Abelian anyons, quantum state after partilce exchange making them ideal for use in topological quantum computing. Egard M, Johansson S, Johansson AC, Persson KM, Dey AW, Borg BM, Thelander C, Wernersson LE, Lind E, “Vertical InAs nanowire wrap gate transistors with f(t) > 7 GHz and f(max) > 20 GHz”, Nano Lett. 10, 809-812 (2010). V. Mourik, K. Zuo, S. M. Frolov, S. R. Plissard, E. P. A. M. Bakkers, L. P. Kouwenhoven, “Signatures of Majorana Fermions in Hybrid Superconductor-Semiconductor Nanowire Devices”, Science 336, 1003-1007 (2012). "Electrical Properties & Quantum Transport in Nanowire Device." UKEssays.com. 11 2018. All Answers Ltd. 04 2019 <https://www.ukessays.com/essays/physics/electrical-properties-quantum-transport-nanowire-5859.php?vref=1>. "Electrical Properties & Quantum Transport in Nanowire Device." All Answers Ltd. ukessays.com, November 2018. Web. 23 April 2019. <https://www.ukessays.com/essays/physics/electrical-properties-quantum-transport-nanowire-5859.php?vref=1>. UKEssays. November 2018. Electrical Properties & Quantum Transport in Nanowire Device. [online]. Available from: https://www.ukessays.com/essays/physics/electrical-properties-quantum-transport-nanowire-5859.php?vref=1 [Accessed 23 April 2019]. UKEssays. Electrical Properties & Quantum Transport in Nanowire Device [Internet]. November 2018. [Accessed 23 April 2019]; Available from: https://www.ukessays.com/essays/physics/electrical-properties-quantum-transport-nanowire-5859.php?vref=1.